A Little Red Riding Hood so cute, even the wolf couldn't bring himself to eat her! 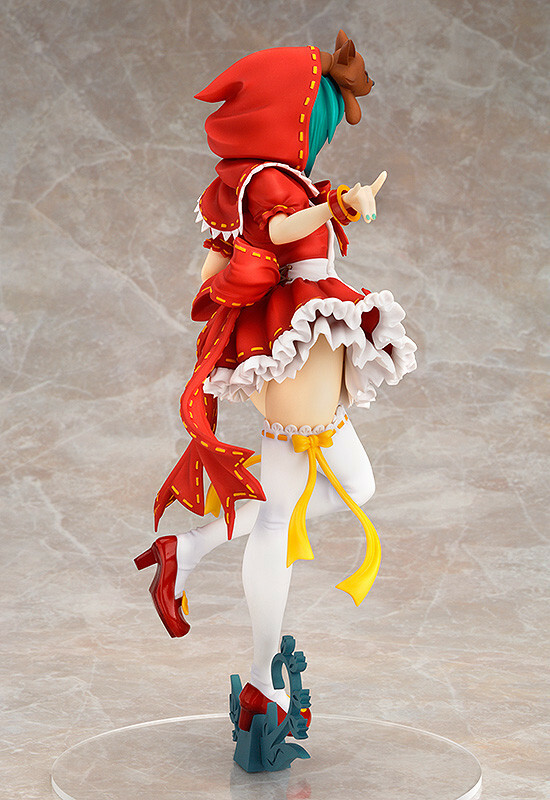 From SEGA's rhythm game 'Hatsune Miku -Project DIVA- 2nd' comes a 1/7th scale figure of one of the most popular 'module' outfits from the game, Mikuzukin! 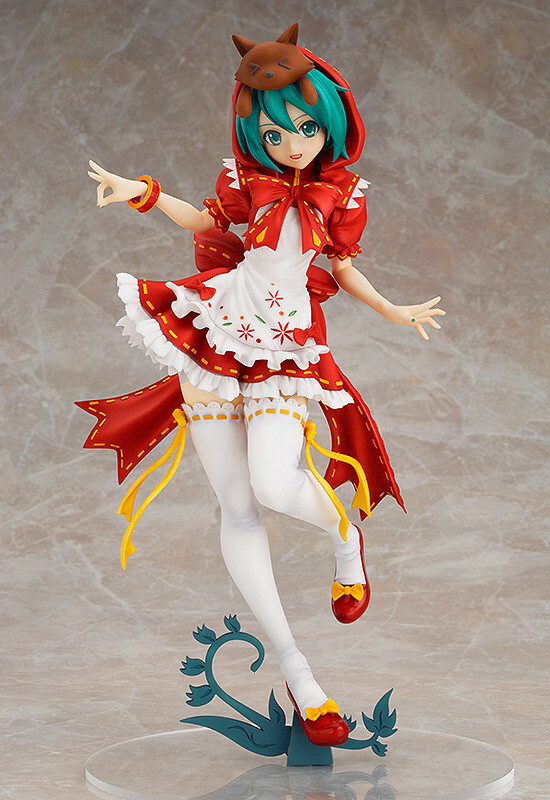 All the details of her outfit have been carefully sculpted onto the figure, including the large red hood with a cute little wolf peeking out from the top! 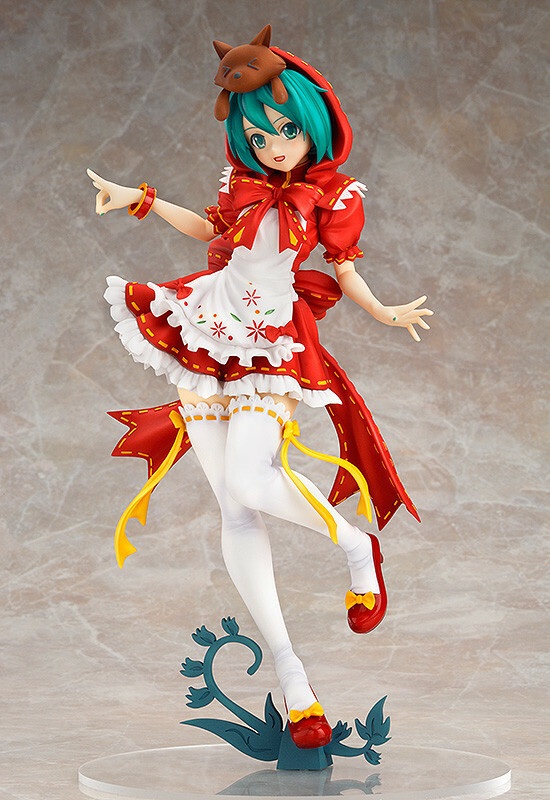 The figure is filled with various adorable highlights such as the white apron with flower prints, the large red ribbon on her chest and even the cute wolf shape she is making with her right hand! All the better to display in your collection, my dear! Painted 1/7th scale ATBC-PVC figure with stand included. Approximately 260mm in height. ©SEGA/ © Crypton Future Media, INC. www.piapro.net. 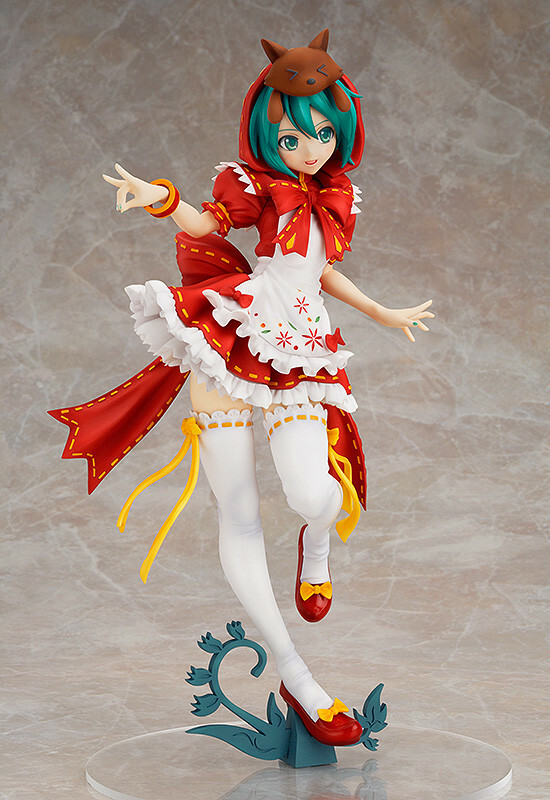 Preorders will be open from 11th August 2014 (Mon) from 12:00JST until 10th September 2014 (Wed) at 21:00JST.